A real UX process is the one that focuses on the users but without letting go the business goals and the opportunities technology gives us. Creating a product that envisions this approach, produces a well thought and proven design that works. First, we understand the business and our goals as an organization. 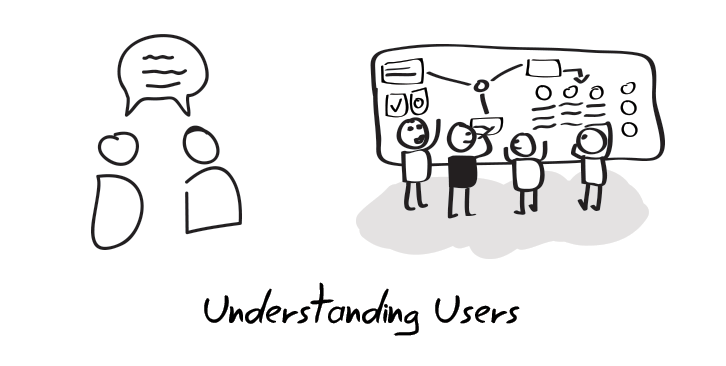 As soon as we have that information, we dive in to understand our users. This is really important because without these information we would be designing blind with our own assumptions and biases. With just enough research, we can understand our users, and make our products better. Depending on each project we might conduct user interviews, or create a poll, or even a do a collaborative workshop. Although every product is different. On every step of the process we create concepts and models to test our ideas. These concepts can be a Navigation, Taxonomy, Persona, Empathy map or Prototype. Want to talk? Send me an email!